How Japanese anglers and chefs prepare their fish for superior quality. Ike jime is a Japanese fish preparation method that paralyses fish and drains them of blood. When done correctly, it not just preserves the fish’s flavour and texture but also allows the flesh to develop an umami dimension when aged. “Ike Jime is a multi-series steps of controls and these steps are designed to mitigate all the effects of biochemical reactions,” says Andrew Tsui, president of the Ike Jime Federation. The steps he refers to involve disrupting the brain and the spinal cord. Such techniques are said to have developed some 350 years ago, and Japanese chefs have been using this technique since. After all, key to good sushi and sashimi is in ageing the fish, allowing the enzymes to break down and moisture to evaporate, resulting in a concentrated flavour. Despite its Japanese origins, more and more chefs around the world have been taking on the technique and using it in interesting ways. 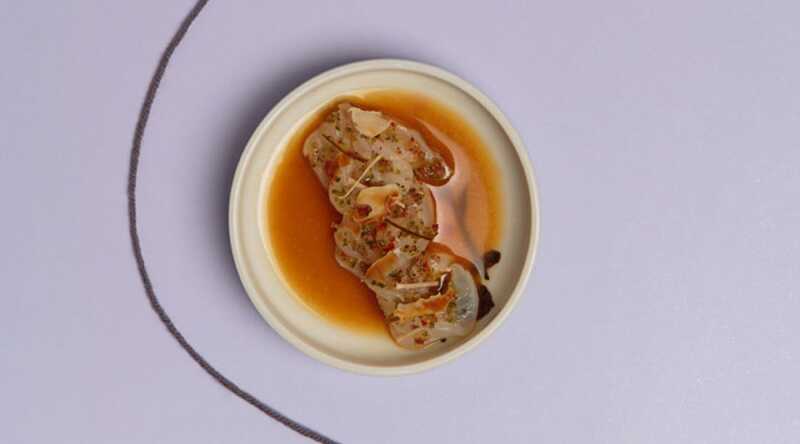 Alexandre Couillon of two-Michelin-starred La Marine in coastal France is one such, hailing the technique for producing fish that tastes as pure as it looks. In Singapore, we have chef Dannel Krishnan, alumni of one-Michelin-starred Bacchanalia and now at Kite who uses it in his kinilaw dish. It’s a Fillipino ceviche where he seasons aged snapper from a local farm with punchy tropical flavours like calamansi, ginger and chilli. The principal is simple: The less trauma a fish suffers before, during and after slaughter, the better the quality of the meat. That’s because as a fish struggles and faces stress, it produces lactic acid and cortisol, which in turn lowers meat quality. Disrupting the brain and spinal cord swiftly minimises the stress signals that are sent out. While there are many variations on the method, most point to four basic steps. Bear in mind, that the entire process is done quickly. Expert fish handlers can in fact, finish the entire process in a matter of seconds. ‘Closing the fish’ is a humane way of referring to the act of crushing the brain. To do this, locate the brain (above the fish’s eye) and use a spike to break through the skull. If successful, the fish is said to shudder and its jaw will drop open. Ensure this step is done swiftly so the brain does not have a chance to fire stress signals to the rest of its body. The gills are where the major blood vessels are, and cutting it lets the blood drain out later. Making an incision towards the tail is also vital in locating its central nervous system for the next step. Push a sharp wire into the spinal cord and run the tip along the upper side. The fish will tremble as you go along the spine and once it stops moving, the process is complete. This step is vital as it destroys the nervous system, preventing the fish from sending out more stress signals. “The most crucial part is the bleeding because the fishiness and the bad flavours are in the blood,” says chef Dannel. To do so, simply leave it in ice water, preferably in the waters it was raised in, with its head facing down where possible. Experts believe the entire process should be done swiftly and key to success is in being able to bleed the fish quickly so none of the blood gets to the muscles. Recommended reading: View more stories from our Technique Thursdays series here. These hand-cut noodles are coloured with precious saffron and lifted with a citrusy zing from naoshichi, a rare lime-like fruit from Japan. Chi Pin Han, the Singaporean behind Ishinomaki Grill & Sake, quit his job and opened the restaurant after witnessing the devastation in Ishinomaki after the 2011 tsunami.